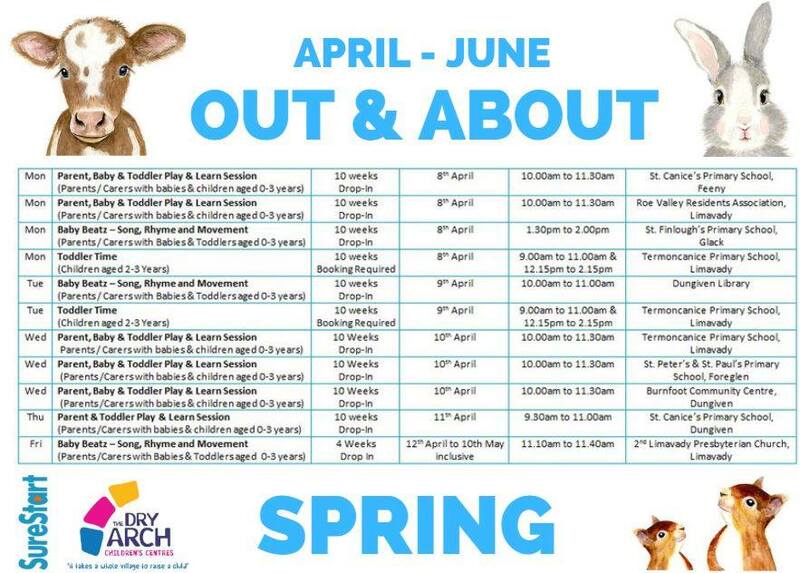 Please see below details of Dry Arch Sure Start programmes for April - June 2019. 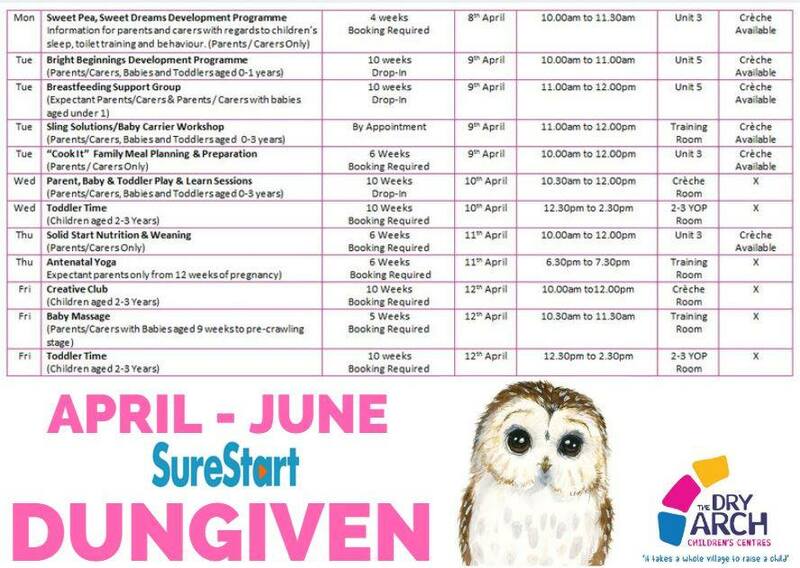 These programmes will be phased in from Monday 8th April and delivered in the Dry Arch Centre in Dungiven, Catherine Street Limavady and the Out and About at venues within the Community. 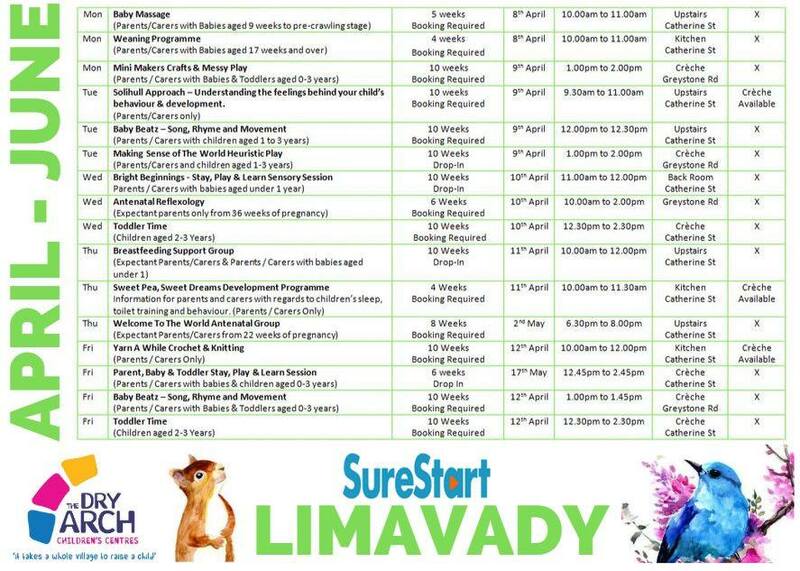 You can enquire about these Sure Start programmes through our enquiry form at the bottom of this page, our Facebook Page (Dry Arch SureStart) or call us on 02877742904. 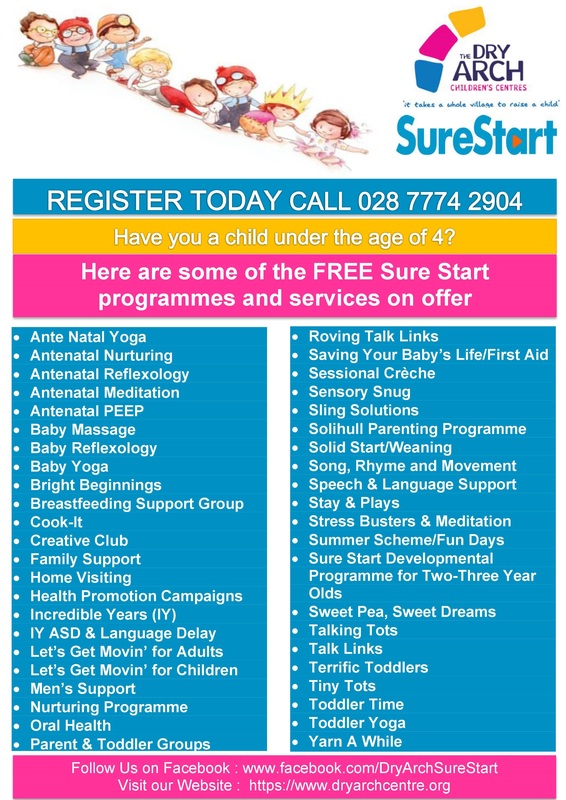 Visit the Sure Start section of our website for full details of who can attend Sure Start programmes.